This is the screen shot of the Google start page logo today. Dynamic! Goggle has spoken, what do you have to say? 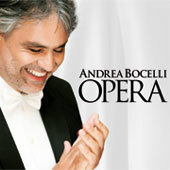 When renowned tenor Andrea Bocelli sings, the world listens. Audiences listen with rapt attention as this man, also known as the “fourth tenor” touches hearts with his gifted voice. It appears Bocelli was destined to sing, but his life is varied and rich-that’s what is so fantastic. Andrea Bocelli was born with the middle name, Angel, 22 September 1958 in Lajatico, Italy to parents who defied medical advice to abort their angel. It became apparent at an early age that Bocelli had a sight impairment but his parents encouraged him to play sports and develop his musical talent, allowing him to start studying the piano from age six. His musical passion extended later to the trumpet, guitar, flute and the saxophone but it was his golden voice that charted his destiny. He persevered, in spite of a slate of obstacles, to earn a law degree from the University of Pisa. But singing and music remained a passion. So, he sang in Italian piano bars at night and was eventually discovered. His tenor voice is distinct, recognized without introduction. You just know its Andrea. He started his music soliloquy winning contests, in operas and performing awe-inspiring concerts in Italy, Germany, the United States. He was won prestigious awards, sang for the Pope, and enjoyed his life as a father to three children. Accustomed to leaping over apparently insurmountable obstacles, the Tuscan tenor proves that insistently living your passion is the guidance of destiny. Amazing grace. Fantastic, I am a devoted fan.